is this so wanted, if yes, why? It's possible that it hasn't been translated yet. It's in the UK Eng Help if you search for 'sub brushes'. I've tried switching to German but as I can't read it very well, I'm having trouble finding (and searching) for it. I'll keep looking. 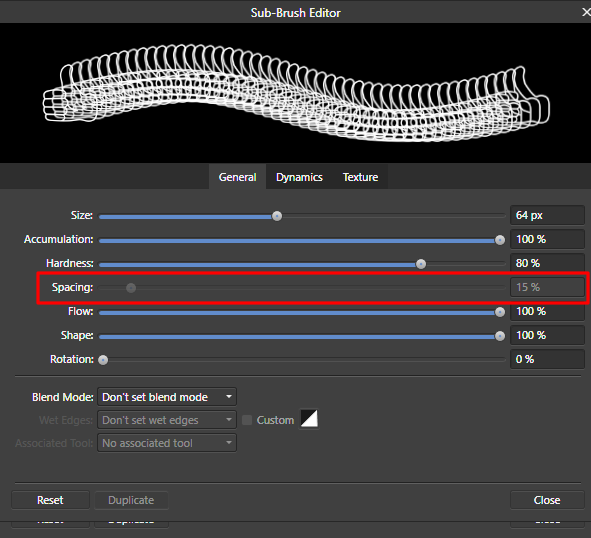 As for the Spacing setting, you need to uncheck the option for 'Sync size' under Sub Brushes. Thanks for the answer, I will look at the UK help.